Chris McDaniel has already found thousands of irregularities in the Mississippi Republican Senate runoff voting process. According to Mississippi state law, Democrats who voted in the Democratic primary cannot vote in the Republican runoff, and that is exactly what happened. In addition to the Mississippi Secretary of State, the State Republican Party, True the Vote has added ten county election commissions to the suit and asked the Court to immediately order election records be opened to inspection, as outlined in the federal election record maintenance and open records provisions codified in the National Voter Registration Act of 1993 (NVRA) (True the Vote, et. al v. State of Mississippi, et. al. (3:14cv532-HTW-LRA)). The new defendants were added when True the Vote refiled in the Southern District of Mississippi, following the motion for relocation by Northern District Judge Michael P. Mills. In the refiling, True the Vote added an additional 8 individual Mississippi voters as plaintiffs, bringing the total number of plaintiffs to 22. In a release True The Vote sent to press Wednesday evening, Engelbrecht’s organization said it possessed dozens of signed affidavits “containing stunning evidence of election subversion,” including the “destruction of voters’ absentee ballot applications and mandatory envelopes” and “illegal alteration of poll books.” The release also says the affidavits will walk through how supporters of Sen. Thad Cochran (R-MS) have helped destroy evidence related to “cross-over and double voting” and “absentee ballots marked ‘accepted’ but unopened,” among other forms of alleged voter fraud. 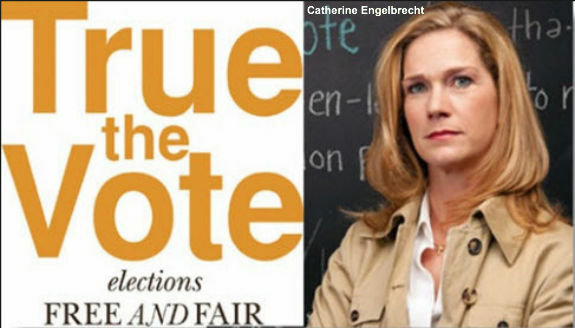 “Based on all we have seen—and all we have not been allowed to see—we now believe that unless the Court steps in, illegal voting will go unchallenged, voters’ rights will be diluted, voters’ trust will be violated—and an unlawful and inaccurate election may be certified by the State of Mississippi,” Engelbrecht said. Click this link to read the re-filed complaint and review the facts of the case for yourself. Click here to learn more about True the Vote and how you can help them in this important election integrity project. Submitted by cstrasburger on Fri, 07/11/2014 - 08:18.
little jabba soros is allowed to create unions in support of these commissioners and secretary's of state in order to corrupt elections. This practice MUST be made illegal, or this country goes the way of the dodo bird...and its well on its way. Unions, like liberalism destroys everything it touches. Who does not know this by now? Submitted by Marlin on Thu, 07/10/2014 - 15:27. If you all think that this midterm election will be on the up and up you are sadly mistaken. It has gone way beyond honest elections. I realized that the Dems are a bunch of cheating slim but now the GOP is catching up. Anything not to have Constitutional Conservatives. Boy this country has gone to hell in a hand basket in only 6 short years.